High quality also in details - Stainless steel and bronze for high quality! Techno Italia Ltd. is a Hungarian company, which was founded by Luigi Gobbo, an Italian specialist who lives near the lake Velence. After twenty years of experience in the aircraft industry, he created his own hydraulic boat steering system. 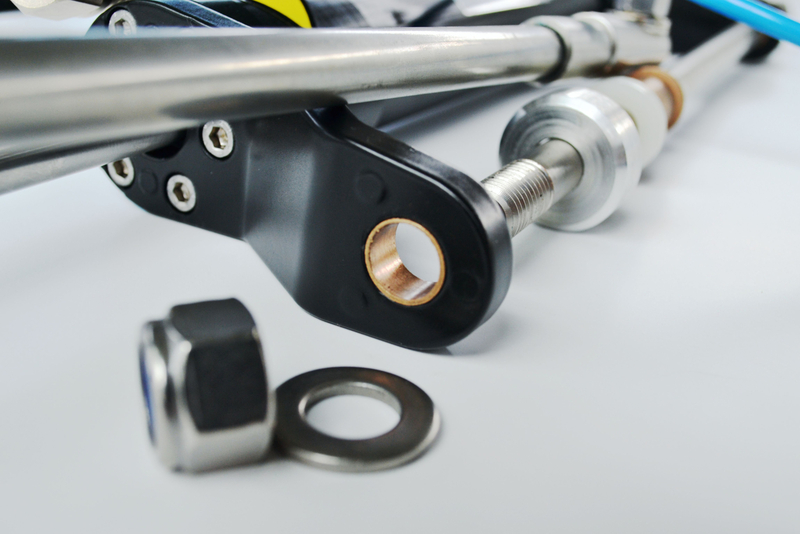 Every part of the steering system is self-production with strict quality control. Not only the manual assembly, but the use of quality materials guarantee reliability and long service life. 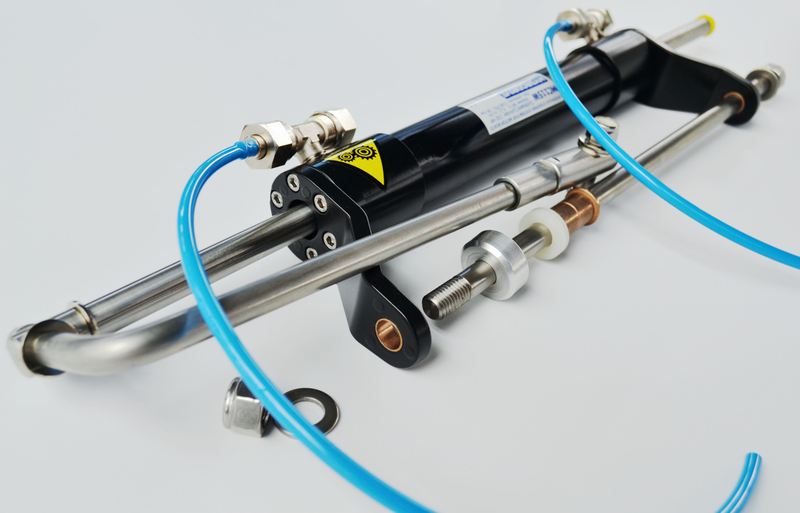 In our product range, you can find Hydraulic Steering System for Outboard, Inboard and for Racing. The pump house is a hardened, hot-pressed aluminium base material, not die-cast aluminium or moulded plastic. The thickness of 8 mm and the special material from the aircraft industry prevent leakage or oil film/fog formation even under very high pressure. The 3 ball bearings in the pump ensure the outstanding precision and exceptionally smooth, consistent functioning. Each pump house is anodized and due to the surface treatment is resistant to the highly corrosive effects of sea. All parts are manufactured with high-precision CNC machines and go through quality control after each phase of production to ensure the highest quality. The cylinders are also made of cold drawn, hardened aluminium (also used in the aircraft industry) with high-precision CNC machines. The thick walled cylinder is made of a special raw material with even higher tensile strength than the traditional bronze therefore tolerates high working pressure. All the cylinders and parts are anodized and due to surface treatment are resistant to the highly corrosive effects of sea. The hydraulic pipes are specially manufactured twin-tubes with high-pressure resistance, and are equipped with custom-made stainless steel and nickel-plated couplings. Complete kit with all you need for the installation: Pump with fitting, Cylinder with fitting, twin hose set with fitting, oil, easy filling oil system.